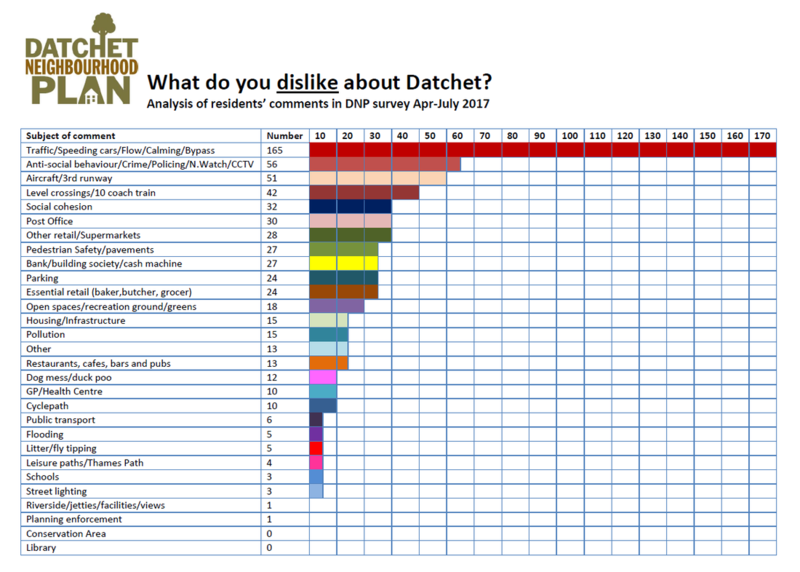 The Datchet Neighbourhood Plan survey (open from April to July 2017) asked people who live and work here what they think about the village. 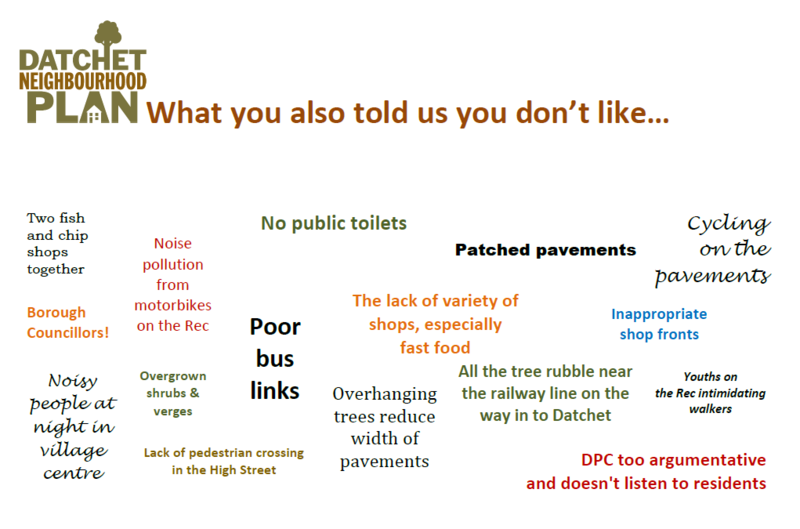 The traffic, congestion, speeding vehicles, traffic pollution, inconsiderate parking and cars parked on pavements. You were also concerned about pedestrian safety. Aircraft noise and pollution and the proposed third runway at Heathrow. Delays caused by the level crossings and also the new 10-coach trains. The lack of a post office and other 'essential' retail outlets such as a bank, butcher, baker, grocer. You can read a summary of the survey results here.